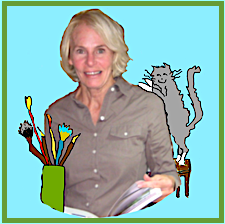 This entry was posted in Amusing Meditation, Creative Expressions, Fun & Frivolity, IDEA!, Painting, puttering & drawing and tagged Carla Sonheim & Lynn Whipple, drawing faces, one-line drawings, The Year of the Spark. Bookmark the permalink. Drawing without lifting the pencil – a common art lesson, lots of fun. Your work is charming. It takes charm to be charmed! Clever that. A drawing with one line. Is this included as an exercise in art class, Shari? Sounds intriguing. 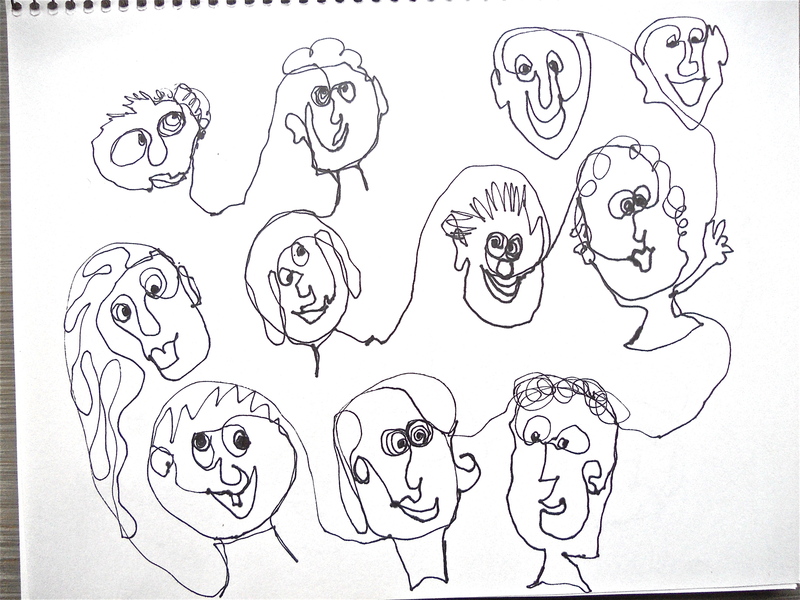 Drawing with just one line is used a lot to get you to really look at what you’re drawing and loosen up – it stops the critical mind-chatter and just helps you concentrate on what you are actually seeing instead of what you think you see. It’s suppose to be done verrrrry slowly BUT I am not very patient and tend to just “go at it” with little thought. That’s why it’s fun and relaxing for me. To Jacqui: Yes, a frequent art class exercise, to get a student to be mindful about where to place a mark. It helps when one is learning how to make a mark correctly rather than one that gets erased over and over because the artist doesn’t know how to direct their motion on paper. Also great for learning to focus, as the artist is looking at what they want to draw but not looking at their paper. I’m impressed. I could see these being used to illustrate a magazine story. Nicely done! 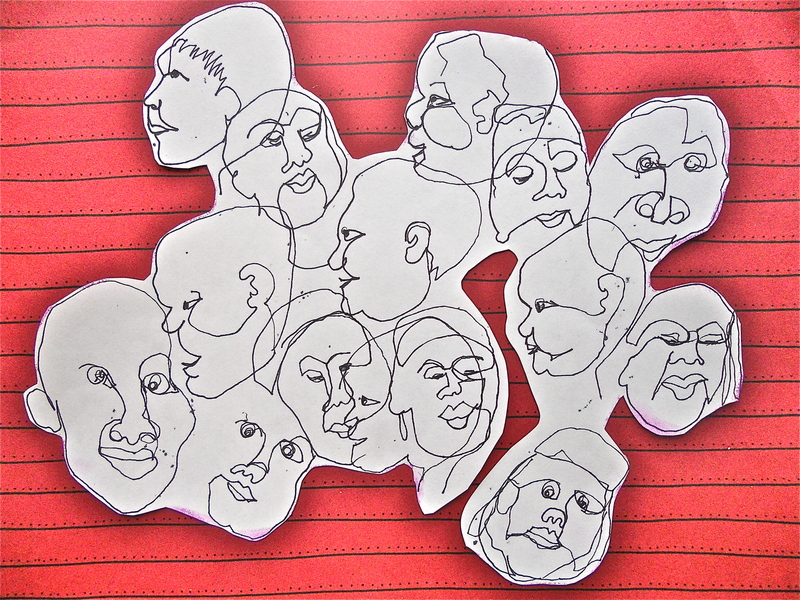 Thanks – you write the story and I’ll send you the faces!